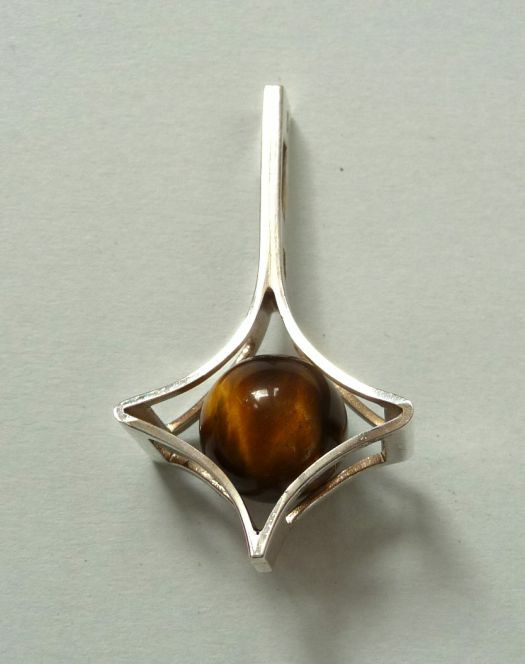 Nice silver pendant, with a semi-precious stone. 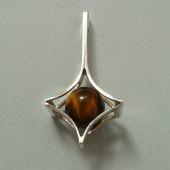 In France we name this semi-precious stone "tiger's eye". 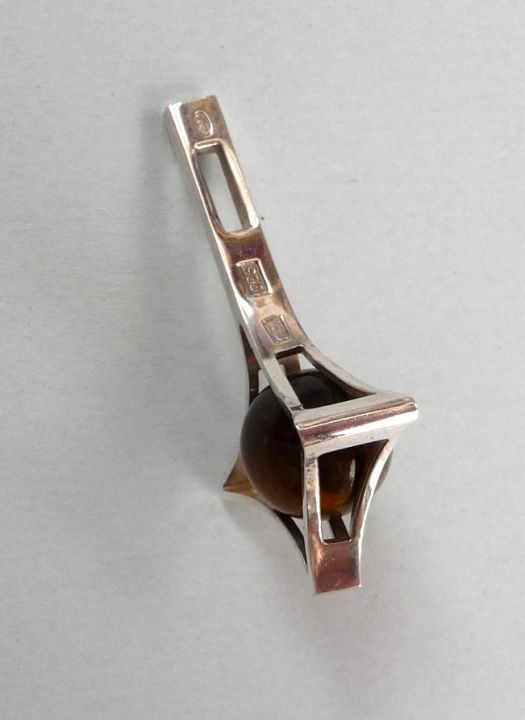 14 mm x 35 mm ; total weight 3,3 g.